The Four Post lift is available in four different weight capacities: 4000lbs, 6000lbs, 8000lbs and 12000lbs. This lift is when you don't have an overhead structure on your deck or dock - all this lift needs is 4 properly placed pilings. 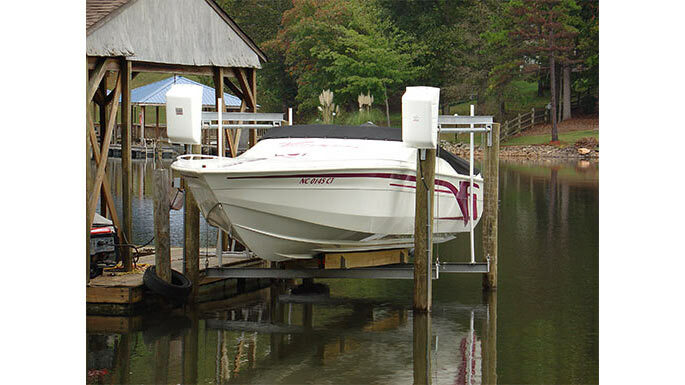 The Four Post Boat Lift is a great option for boats that have t-tops, tuna towers, wakeboard towers or any other tall extruding measure that would interfere with a standard lift.